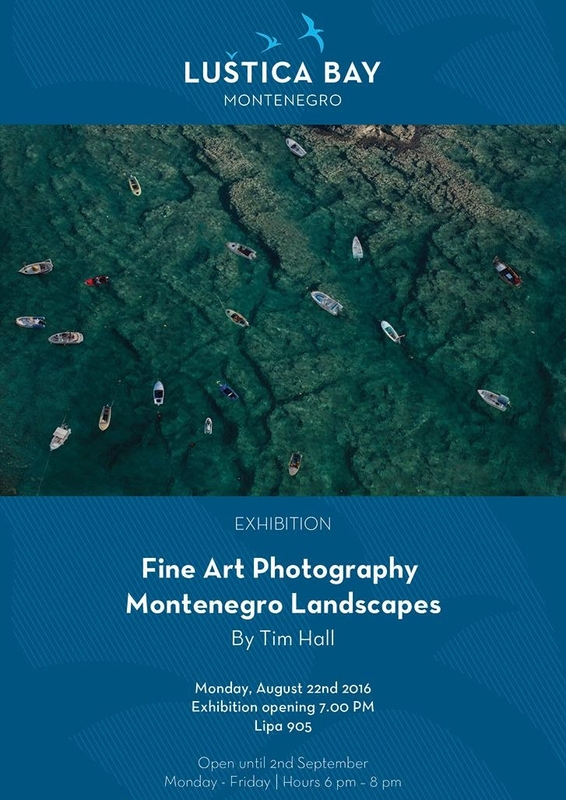 We are delighted to invite you to join us at the opening of the Exhibition of Fine Art Photography - Montenegro Landscapes by Tim Hall, held in Luštica Bay Marina Village, Gallery Lipa 905, on Monday, August 22nd at 7 PM. The collection of 15 prints of Montenegro landscapes and seascapes were shot during Tim's journeys to Montenegro over the past 5 years. Tim's work is derived and influenced by art from the past and creates an image that crosses the line between photography and painting.